Note: The pictures above were taken last July 31, 2010 during the Birthday Run of July Oconer to Mount Pinatubo. The race starts at 5:00 AM of September 4, 2011 (Sunday) at the vicinity of the Barangay Hall of Sta. Juliana, Capas, Tarlac. This race is a solo run and the distance is 50 kilometers. The distance from the Starting Line to the Mt Pinatubo Crater Lake (turn-around) is 25 kilometers. From the turn-around point, the runner has to go back to the Starting Line which will serve also as the Finish Line. Pacers are not allowed. The cut-off time for the race is twelve (12) hours. Runners must be able to reach the turn-around point in 5:30 hours. Runners who will reach the turn-around point in more than 5:30 hours will be advised to ride on the available 4X4 vehicle in going back to the Starting Line. Such runners will be declared as DNF. Each runner must be able to have their respective hydration system/belt. The runner’s hydration system must be able to carry liquid/water needed to cover a distance of at least 15 kilometers. There will be Aid Station at Km#8-9 & Km#16-17 and these same Aid Stations will serve as Stations at Km# 33-34 and Km # 42-43 (on the way back). These Aid Stations will be 4X4 vehicles manned by Race Marshals. Be sure to carry some food for you to eat at the Crater/turn-around point (Km #25). The park at the Crater has faucets where you can fill water for your hydration system. The Aid Stations will have water, cola drinks and limited food supply. The foods served will be chocolate bites, salted biscuits, boiled eggs, and boiled bananas. Runners are encouraged to prepare their own “drop bags” which will be carried/transported by the 4X4 Vehicle-Aid Stations. Drop Bags should be properly marked with the runner’s name, race number, and Aid Station Number/Km Point where it will be available. Runner has the option to provide his/her own support vehicle from the 4X4 vehicles for rent available through the Barangay Officials at the Barangay Hall of Sta Juliana. The rent/cost of one vehicle is P 2,500.00 (last year’s price). 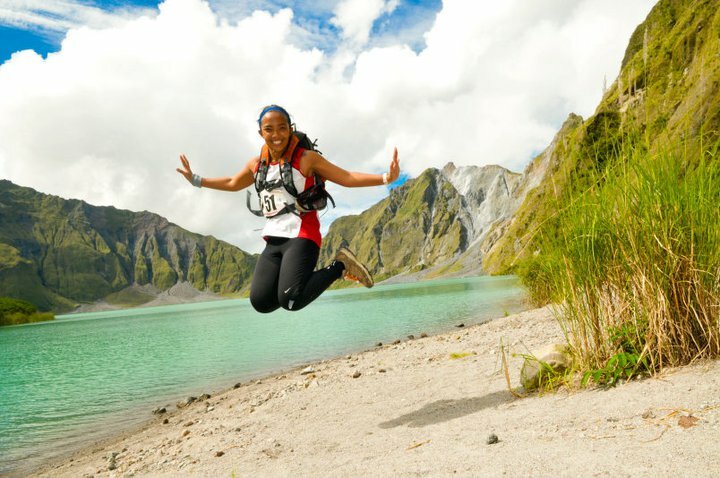 The fee for a guide is P 500.00 (optional for the runner to get one). However, such individual support vehicle should not “shadow” the runner. It is advisable that support vehicles must “leap-frog” from the runner. The exact turn-around point is at the edge of the Crater Lake. Runners should go down the stairs as each runner must be able to register to the marshal-recorder upon his/her arrival thereat. Runners shall be properly “marked” at the turn-around point by the Race Marshal thereat. Runners are advised not to ride on their respective support vehicle even for a short distance or while crossing the river. Riding on the vehicle is tantamount to “cheating” during the race. Since most of the route towards the Mt Pinatubo has no established or designated trail or path due to changing landscape as a result water & earth movements, the runner can improvise or have his/her own personal choice in establishing his/her direction towards the crater. The rule of thumb for the direction towards the crater is ALWAYS STAY ON THE LEFT PART OF THE EXPOSED AREA going southerly direction. It is advisable to run with somebody or with a group with the same pace. If not, each runner must be able to have a sight on the runner in front and runner at his back. 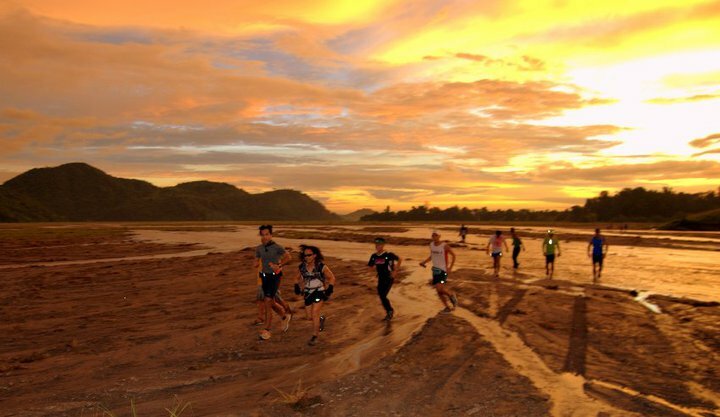 This is a trail run which is considered as a RACE. However, it is advisable to help each other on matters of emergency and occurrence of accidents along the route. Any casualty or runner who needs medical attention should be brought to the nearest Aid Station. Each runner must carry with them basic First Aid Kit. This is a MUST and it is a ground for Disqualification if a runner is without this basic requirement. The First Aid Kit should consist enough cotton, sanitary gauze, medical adhesive tape, betadyne/iodine, and anti-biotic ointment. Runners must be extra careful in stepping those big rocks along the route. Most of the rocks are slippery and some are not stable. It is safer to walk rather than run on these rocks. Always think safety when you encounter rocks along the way. There will be a lot of river crossing. Find time to be deliberate in crossing such flowing rivers, most especially where there are a lot of rocks. There are some places where the current of the river are strong, take time in establishing a firm and balance footing as you cross such rivers. Basically, you will have damp/wet running shoes throughout the run. It is advisable for each runner to apply petroleum jelly to their feet before the run to prevent blisters. Walking sticks or Trekking Poles are allowed on this run. At the Crater Lake, if you are not a swimmer, please do not attempt to swim at the lake. We don’t have any Lifeguards for this race. If in case there will be typhoon or continuous raining on race day, the event will be cancelled and it will be postponed to a later date when weather is favorable for the safety of the participants. Please check on the recent race updates on the Event Page on my Wall at Facebook. Top 3 Overall and Ladies will receive trophies. Every Finisher will receive Individual PAU’s Finisher’s Medal; Finisher’s T-Shirt; and a Certificate of Achievement (to be given later). This trail run is included in the Ranking of PAU Runners for the Year. Parking Areas will be available on one side of the Road at Barangay Sta Juliana and at the area near the banks of the river (500 meters from the Barangay Hall). Barangay Tanods will serve as the security/”look-out” to your parked vehicles. Be prepared to pay P 50.00 as Parking Fee for each vehicle to the Barangay Tanods. The RD and Race Marshals will be conducting random checks on each runner’s hydration system and the mandatory First Aid Kit along the route. It is mandatory for each runner to show their First Aid Kit as he/she checks-in at the Starting Area. Lastly, please maintain the Integrity of this Race. For those who paid/deposited their registration fee at LANDBANK, please bring your deposit slip/receipt at the Starting Line for verification. No bandits to be allowed on this event. Insisting to be a Bandit? Go ahead, make our day!!! Last Friday, I started my anaerobic training after more than 3 months of my MAF training. The purpose of the anaerobic training/speed running workout was to find out my Maximum Heart Rate (Max HR). This activity was done at the ULTRA Oval Track on the early evening of Friday. After 4 laps of brisk walking, I did five (5) repetitons of 800-meter run or Yasso 800 where I averaged 3:54 minutes. Each repetition was followed with one lap of slow jog. My Average HR for the workout was 168 beats per minute with a MAX HR registered at 178 beats per minute. After the Yasso 800 workout, I did 4 laps of brisk walking as my cool-down workout until my HR registered to 112 beats per minute. As suggested by Dr Maffetone, there are two ways to find out one’s MAX HR. One is to run at one’s best effort within 3-4 minutes and record one’s highest HR. The other one is to use the suggested formula—208 minus the result of one’s Age multiplied by 0.7. Based from my first anaerobic workout, I registered a Max HR of 178 beats per minute while my supposed to be Max HR by following the suggested formula is approximately 167 bpm. There is a difference of 11 beats per minute. I hope I’ll be able to adjust my desired Max HR as I do more of my anaerobic workouts. What was notably good after my first anaerobic workout was that I did not feel any soreness or pain on my legs despite my practice of not doing any stretching or speed drills before my Yasso 800 repeats! I simply do my 10-minute squats after my workout. The 2nd advantage of such workout is that it was quick and short. After 1 1/2 hours, I was out of the ULTRA Oval Track. There is a need of more anaerobic workouts to really find out my Max HR. One way to do this is to join a 10K run this morning! To prepare for the 10K run, I completely rested the whole day of Saturday. 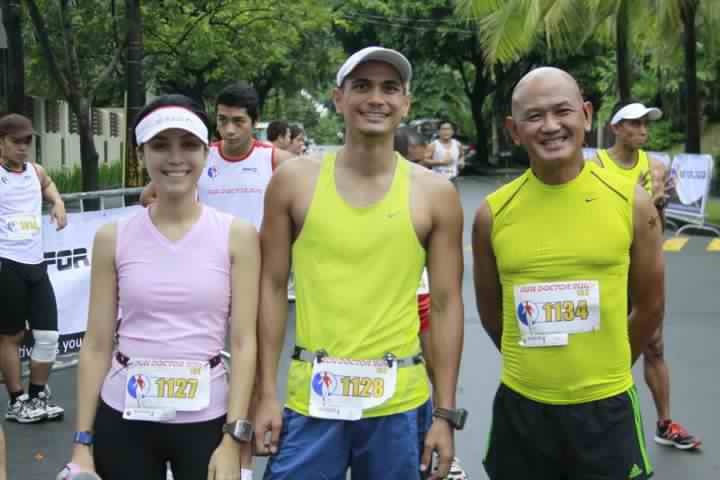 I joined the Run Doctor Run 10K which was organized by my good friend Eric Pasion of Run For Change. 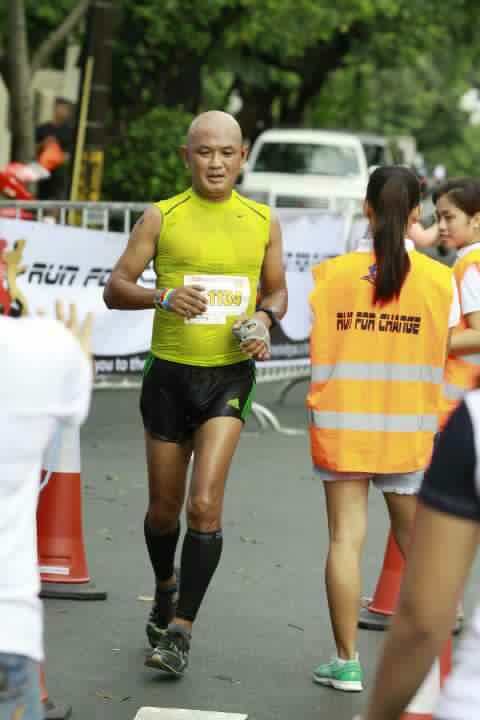 It was a simple race which was held inside the Dasmarinas Village. The last time that I went inside this place was in the mid-90s when I was still active in cycling. The streets are wide and there is no traffic plus they are shaded with tall trees on both sides. The race started at 6:30 AM with the 10K run being released ahead of the shorter races. I started a very conservative pace of 5:45+ minutes per kilometer making sure that my HR will steadily and gradually increase. It started at 121 bpm until it reached at 160 bpm after running for 3 kilometers. I started to increase my pace for the next 3 kilometers where my Max HR registered at 178 bpm. At the 7th Kilometer, my HR went down to 170 until it peaked again to 175-177 from Kilometer 8 all the way to the Finish Line. All the amenities you need in a road race were all there. Eric has already perfected the conduct of a road racing event. Everything was perfect, to include the weather! I finished the race in 55:27 minutes with an average pace of 5:39 mins per kilometer. My HR Monitor registered an average HR of 168 bpm and a Max HR of 178 bpm which is consistent to what I’ve recorded on my first anaerobic workout last Friday at the Oval Track. It seems that I am starting all over again and trying to regain my speed through more aerobic workouts/LSD runs. I know it will take weeks and months and even years for me to improve my performance using the HR monitor as a form of biofeedback on the intensity of my training and running workouts. I am no longer young to do all those high mileage of training but I am still guided with the basic principles of training for endurance sports—consistency, specificity of training, rest & recovery, and extended goals. My primary goal now is to prevent myself from being injured and have fun in all my running adventures. Finally, I am back to my regular training! Thanks to John Avellanosa for the pictures and Jonel of FrontRUNNER Magazine & Eric Pasion for the accommodation. It was hard for me to adjust to the Maffetone Training by following 180 Formula during the 1st week of my training. I had mentioned in my previous posts that I “cheated” on strictly following the 180 Formula where my Maximum Aerobic Function’s (MAF) Heart Rate shoud be 121 beats per minute. I started with 142-145 beats per minute for the first 2-3 days until I was able to adjust to 138 beats per minute. After a few days, I was comfortably running, slow jogging and walking at 132 beats per minute. After another 2-3 days, I was able to bring down my maximum aerobic heart rate to 121 beats per minute. After 3 weeks of running and walking within my MAF of 121 beats per minute based from my 180 Formula, I did my first MAF Test. As suggested by Dr. Phil Maffetone, a runner must first warm-up by gradually increasing the heart rate from a resting rate to a range of maximum aerobic rate, from the lowest range of 111 beats per minute to my maximum rate of 121 beats per minute. Warm-up is being done by slow walking up to brisk walking for almost 15-16 minutes which is equivalent to 4 laps at the oval track. It is notable in my running workouts that I don’t perform any stretching exercises before and after my runs. However, a 10-minute squat after my running workout had been a “must” and later became a habit. Once my max aerobic rate range of 111-121 bpm is reached, I start jogging/running and complete 4 laps on the oval track which is equivalent to one mile. The time is recorded and written on a paper. After a short recovery by walking of at least 30 seconds, I do my second set of one mile run until I complete five repetitions of one mile run. The time of each mile repetition is being recorded. After the 5th mile, I have to cool-down by walking another 4 laps until my heart beat rate would gradually go down to the rate that was registered before I started my workout. After 3-4 weeks, another MAF Test has to be done. The tabulation would show that I am gaining my “aerobic speed” which means that I am getting faster with a constant HR of 121 beats per minute. When I started to strictly follow the 180 Formula, the distance (as registered by GF 305) I could cover for a hour was 5.6 kilometers. After one week of max HR of 121 bpm, I could cover 5.66 kilometers per hour. After 3 months of 180 Formula/MAF training, my distance covered for one hour is 5.88 kilometers per hour! Sometimes I vary my method of determining my improvement. I would run/jog for a distance of 8 kilometers (5 miles) continouosly at the oval track by maintaining an average HR of 119-121 beats per minute and try to record the time elapsed to cover the distance. On my first try, I registered a time of 1:31:20 hours. After a few days, I registered a time of 1:30:04 hours. At present, I was able to register my fastest time in 1:25:48 hours for the said distance. My typical weekly workout would consist of “doubles” during the day—1.5 hours in the morning and another 1.5 hours in the late afternoon. Such workout would include 15 minutes of warm-up, 15 minutes of cool-down, and running for one hour at an average HR of 121 bpm. On the next day, I do 2.5 hours with 2 hours of actual running and the rest for my warm-up and cool down. I do this kind of workout in the morning only which is also considered as my “heat training” under the sun as I start my workout at 8:00 or 9:00 AM. On the next day, I go back to my daily “doubles”. And the cycle continues throughout the week. My long runs during weekends would last up to 3 hours of running & walking, making sure that my average HR would not be more than 121 bpm. 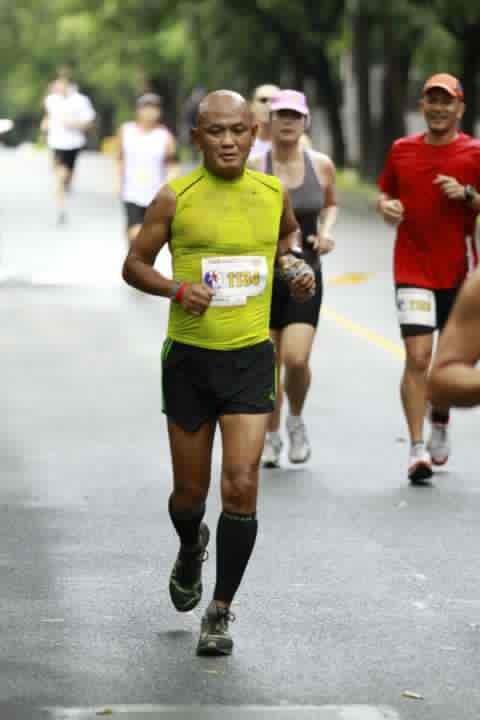 The last MILO Elimination Run was my longest LSD for almost 6 hours, covering a distance of 32 kilometers. It is very evident that I measure my running workouts by the TIME that my feet are on the ground! The distance covered during these timed workouts is just a data that provides a good feedback and evaluation of my improvement in this kind of training. At least, the minimum of hours per week in my training is 12 hours. It is worthy to note that within this 3-month of strictly following the max aerobic HR of 121 bpm, I was able to try and complete my “Two-Week Test” to determine my carbohydrate intolerance, a situation when the body has more carbohydrates stored in the body system. This “Test” greatly improved my resting HR, lowering and sustaining my MAF’s max aerobic HR to 121 bpm during my workouts, reduced my weight to 135 pounds, and no longer have sleepy feeling after lunch or after a heavy meal. The best result is that I can control my urge to eat foods rich in carbohydrates. I hope there would be good results in my endurance capabilities as soon I start my anaerobic/speed training in the weeks to come. Stress is defined by the Webster Online Dictionary as “a physical, chemical, or emotional factor that causes bodily or mental tension and maybe a factor in disease causation; a state resulting from a stress; especially: one of bodily or mental tension resulting from factors that tend to alter an existing equilibrium”. This definition is based from its use in the medical field as there are more definitions of the word as applied in other fields of endeavor. For the sake of this post, the stress I am describing is all about its application to the medical field as it is related to the human body. One of the reasons why we should run or involve ourselves in any physical activity or exercise is to be able to relieve the stress brought about our daily lives or lifestyle. This means that the stress we are trying to relieve from our body system is something bad or not beneficial to our health and sound body. On the other hand, we need stress or extra effort to our body system in order to be a better person or athlete or gain positive results in our improvement to a certain field of sports or physical activity. For example, if we want to have bigger muscles and well-toned body, we have to put some “stress” to our muscles by carrying heavy weights or lifting light weights in lots of sets or repetitions. If we want to be a faster sprinter or enduring long distance runner, we have to put more “stress” to our body by doing fast interval repetitions or tempo runs or LSDs so that our muscles, bones, and other body organs are conditioned to react if needed during races and other forms of competitions. In simple terms, this kind of stress is good for the body. As for the stress we are trying to relieve from our body system through running, walking, cycling, swimming, and other forms of sports and physical activities, this kind of stress are the bad ones which should be removed immediately from our body system. If not, this kind of bad stress will greatly affect the proper functioning of our body organs and worst is that, it would ultimately cause our untimely death! There had been so many surveys and scientific studies that show that the main cause of death of mankind in our present generation is STRESS. But such stress is the bad one! For a person to have a positive attitude in life, he should be able to eliminate stress and have a healthy life. As for an athlete, whether you are an elite or average sports person, if he/she wants to improve and develop his/her potentials in a given or selected sports discipline, he/she should be able to eliminate stress in his body system. It is simply termed as “stress management”. How do we manage stress? I mean, the “BAD” stress? Following the suggested technique of Dr Phil Maffetone in managing bad stress to the body system, first, you should be able to identify and make a list of your “stressors” on a piece of paper and you can take your time in making such list. Maybe, thinking and writing such list within a period of 3-4 days or one week would be an ample time for you to have a complete/comprehensive one. From the master list of stressors, you may now categorize/classify them into two—stressors which you don’t have any control and stressors which you can have control. Examples for stressors which you don’t have any control—traffic, weather, rains, flooding, criminality, terrorism, air quality and pollution, pressures related to work, paying of taxes, politics, national economy, family, accidents, deaths, and others! costs of registration fees of road races & high costs of “bragging rights”, reacting to unruly drivers on the road, listening and reacting to “gossips”/blind items and other things. Depending on your kind of work or profession, you have a better appreciation on your stressors, controllable or not. Make a honest list of your stressors and you’ll be surprised on how easily you’ll be able to find solution on how to eliminate such stressors. You can’t do anything to stressors that you don’t have any control. Forget most of them and simply focus to your work which is the source of your income and livelihood. Your responsibility to your family is foremost and that’s the reason why you are working to have an income. If you have work-related stressors, then make another list of controllable and non-controllable ones, and start from there! Pay your taxes and live a simple life. You will be surprised that if you are matured enough and have a good judgement on things that are happening around you, those stressors which you can have control can be easily eliminated by following the best option—IGNORE or say “NO”! On financial matters, it means, “cost-cutting” and simply living within your means! highway, no coffees and sodas to “spike” my calorie and carbo intake, simply no pressure on things that I do, just listen to “bad” news that happened to friends and relatives, no more “hot temper” moods but more on smiles and positive reaction on things…and regularly updating my status at Facebook! In summary, everybody can manage stress in their life. The lesser number of (bad) stressors, the better for you to develop your potentials in endurance sports or in any physical activity which will lead you to a better and healthier life. Manage your stress for a sound body and a sound mind! I’ve read somewhere in history books that the Spaniards that discovered the Philippines were able to describe in their accounts that the warrior-natives in those islands where they first landed were full of “black paint patterns” on their skin. This could be the first discovery of tattoos being adorned to the bodies of human and I believe that long before our country was discovered, our forefathers were already experts on this body art. 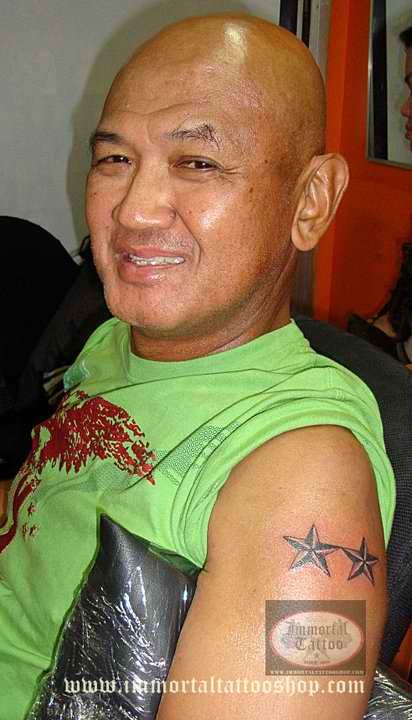 If fully researched, Philippines could be the birthplace of the art of tattoo! Fast forward. I was amazed seeing my BDM “veterans” and PAU runners (you know who you are!) to be sporting colorful tattoos on their bodies and I immediately liked the idea of having one and be able to experience what is like to be “body painted” with a needle. It took me months to think on the “concept” of what to choose that would describe me as a person. I thought that there must a “story” that signifies whatever thing that I would like to be “inked” on my body. A simple one that describes everything about me! A “Silver Two-Star” Rank Insignia of a Major General in the Army would be the best choice that signifies a lot of stories, memories, challenges and other facets in my life in the military service. I have yet to start writing my book about my life in the military. 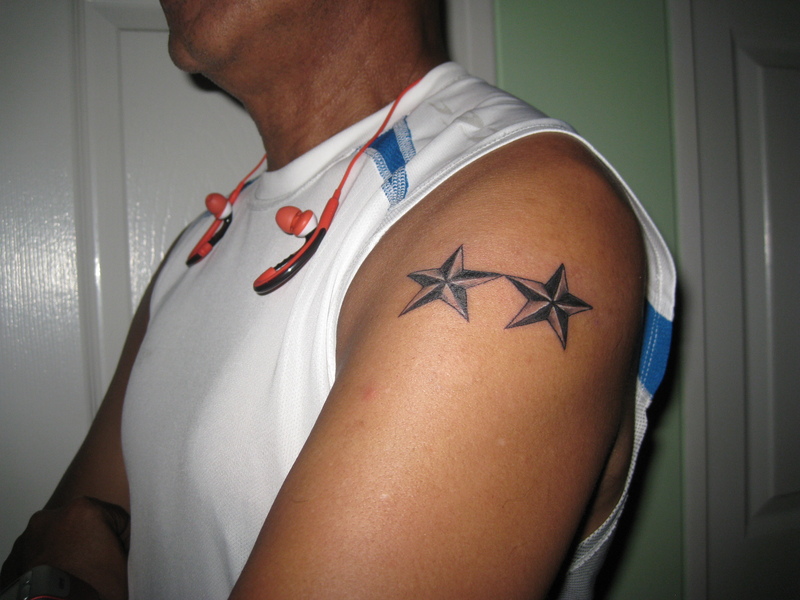 Aside from the significance of my last rank insignia before I retired from the military, the two stars on each on my shoulder will always remind me to start writing my book! 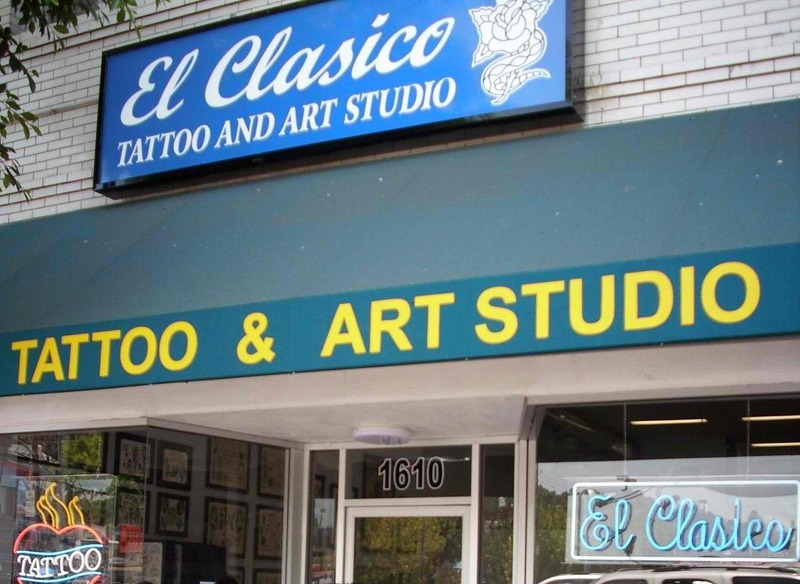 The implimentation of the plan started during my stay in Los Angeles and there was this famous Tattoo Shop near the neighborhood but it did not materialize. After a month of stay back in the country, I finally decided to look for the shop of a tattoo artist at Tiendesitas which was highly recommended by one of my ultra runner friends. And last Sunday evening, I was “inked” for almost one hour! Now, I have all the reasons to wear my “muscle shirts” and singlets during my running workouts and races! "Where are my "muscle shirts"??? 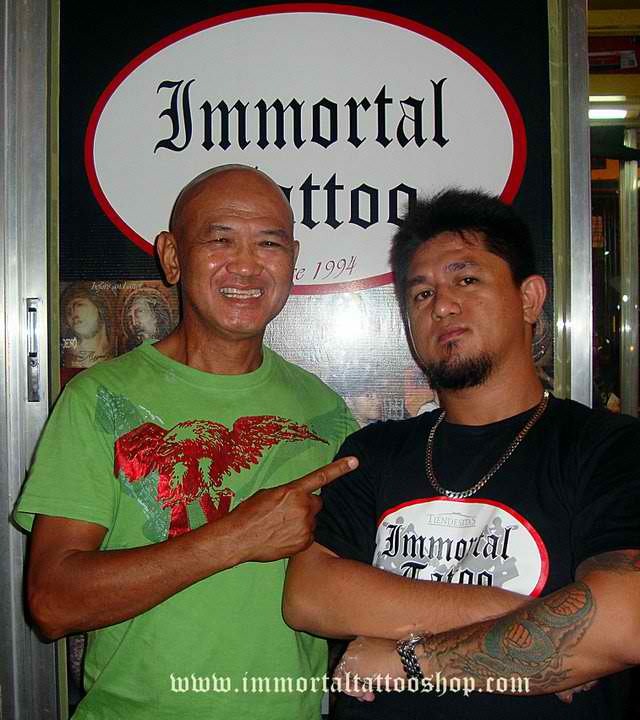 And here is the “best tattoo artist” whom I highly recommend! You can get in touch with him here and here. Getting a tattoo at the age of 59? It’s fun and a lifetime experience! Thanks to the people who pushed and influenced me to do this and to Frank Ibanez, Jr, the artist. I am already thinking on my next “concept”!! !